Join Us: Backcountry 101 | Backcountry Lodges of B.C. Join Us: Backcountry 101 | Backcountry Lodges of B.C. Join BLBCA and True Outdoors for a FREE Backcountry 101 clinic! 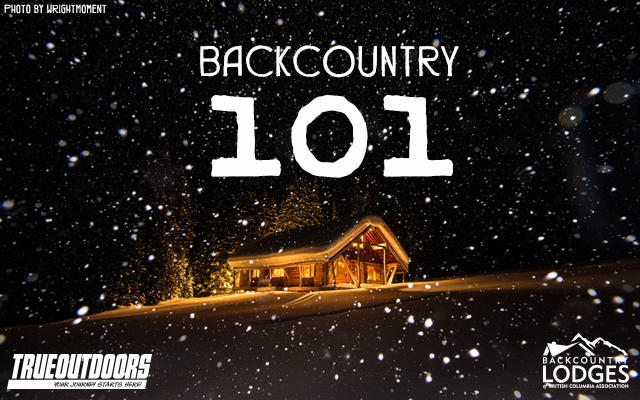 Whether you’ve already spent long days carving turns in backcountry powder, or you’re just considering venturing out for the first time, Backcountry 101 will have something for everyone. “Though the main objective of Backcountry 101 is to share safe travel info in winter months, this session offers a chance to ask a veteran backcountry professional any question about overall mountain safety.” said Harrison. Participants will also be able to see some of the latest in backcountry gear (boots, skis, bindings, skins, etc.) and avalanche safety gear (transceivers, airbags, probes, etc). We’ll also have some awesome draw items up for grabs from both the BLBCA and True Outdoors. So why not join us for a great evening? It’s free – and full of great information. True Outdoors Penticton — Tuesday, November, 1st — 6:30 p.m. 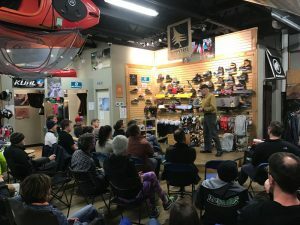 True Outdoors Kelowna — Tuesday, November, 8th — 6:30 p.m. True Outdoors Vernon — Tuesday, November, 29th — 6:30 p.m. True Outdoors Kamloops — Wednesday, November, 30th — 6:30 p.m.